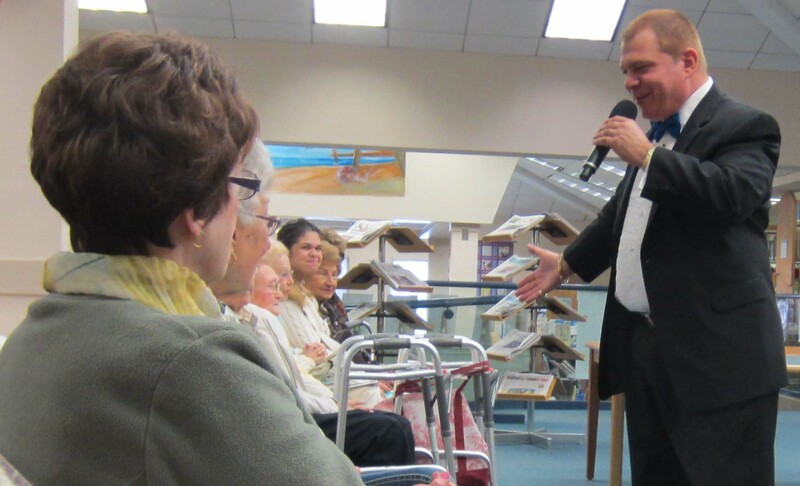 TOMS RIVER – Dave DeLuca will croon the tunes of Frank Sinatra at two Ocean County Library branches. “An Evening Celebrating New Jersey’s Frank Sinatra” is part of the library’s 350th anniversary of the founding of New Jersey festivities. A self-taught singer born in Hoboken in 1915, Sinatra was New Jersey’s favorite son for seven decades. He transitioned from a bobbysoxer idol in the 1930s to a pop music icon in the ‘60s and then reinvented himself as a serious balladeer whose haunting songs reflected on his life up through the ‘90s. Dave DeLuca, also born in New Jersey, is an accomplished singer, songwriter, musician and recording engineer who has been performing for more than 30 years. In December 2011 he auditioned and won a starring role in Red Bank’s Count Basie Theatre’s “Fifth Annual Birthday Bash,” beating out hundreds of other hopeful performers. DeLuca will perform 7 p.m. Wednesday June 18 at the Point Pleasant Borough branch, 834 Beaver Dam Road, 732-295-1555, and 7 p.m. Monday July 21 at the Manchester branch, 21 Colonial Dr. The concerts are free and open to the public but registration is required. To register telephone the branch or visit the library’s website at www.theoceancountylibrary.org and click on the “Event and News” icon for the link to the library’s Calendar of Events.